On 22 March 1933, only a couple of months after Adolf Hitler was appointed German Chancellor, the first concentration camp of the Nazi regime was established in the town of Dachau about 10 miles northwest of Munich. The Nazis used a system of arbitrary persecution, arrest and concentration camps to intimidate the population and discourage political opposition. Dachau was originally intended as a camp for political prisoners such as communists, trade unionists and other political opponents of the Nazis. This was soon extended to include Jehovah’s Witnesses, Roma and Sinti people (known as gypsies), gay men, and people the Nazis considered ‘asocial’ (such as beggars, alcoholics and certain kinds of criminal). Built by prisoner labour, the camp became the model for all Nazi concentration camps. Dachau did not initially house many Jewish prisoners, however after Kristallnacht an increasing number of Jews were imprisoned, with 10,000 men held captive there. 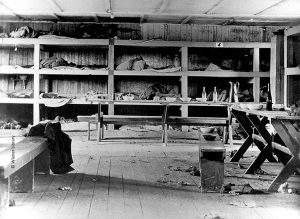 Though concentration camps were not specifically set up to kill their inmates, the harsh conditions and cruel treatment resulted in large numbers of prisoners dying, with many being arbitrarily murdered by camp guards. Humiliation and harassment were intended to destroy the spirit of the people held in the camp. The outbreak of World War Two resulted in the Nazi camp system being massively expanded, both within Germany and across occupied Europe. Polish and Soviet prisoners of war were held in atrocious conditions in camps after being captured. Over 40,000 camps existed across the continent during the six years of war, incarcerating millions of people. Concentration and prisoner of war camps in western Germany in places like Buchenwald, Dachau, and Bergen-Belsen have become strongly associated with mass murders of the Holocaust, yet this was not their primary function throughout the war. In the very last months of the war, as the German army retreated, Jewish prisoners in Auschwitz-Birkenau were marched westwards to the camps in Germany. These were the camps which were liberated by British and American armies, who discovered emaciated and dying inmates. On 9 and 10 November 1938, the Nazis initiated a campaign of hatred against the Jewish population in all Nazi territories. 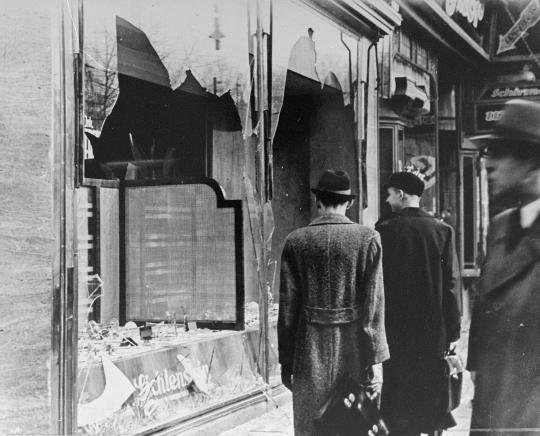 Find out more about Kristallnacht. 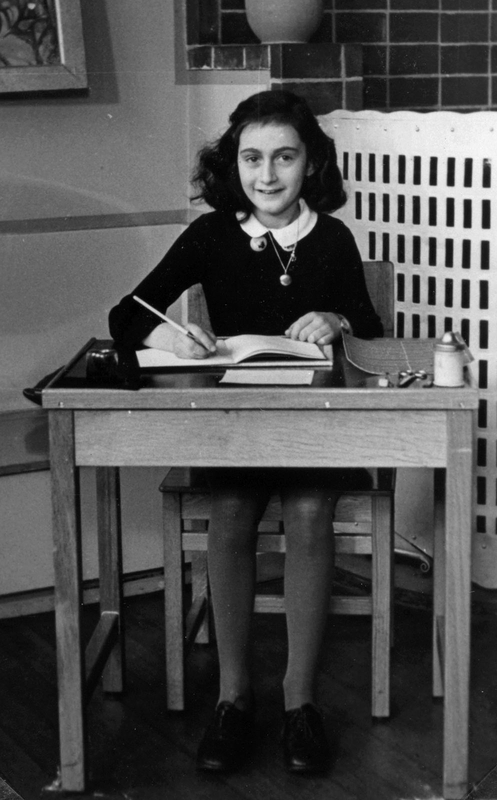 The diary written by Anne Frank is famous around the world as an eye witness account which gives an insight into the persecution faced by Jewish people under the Nazi regime. 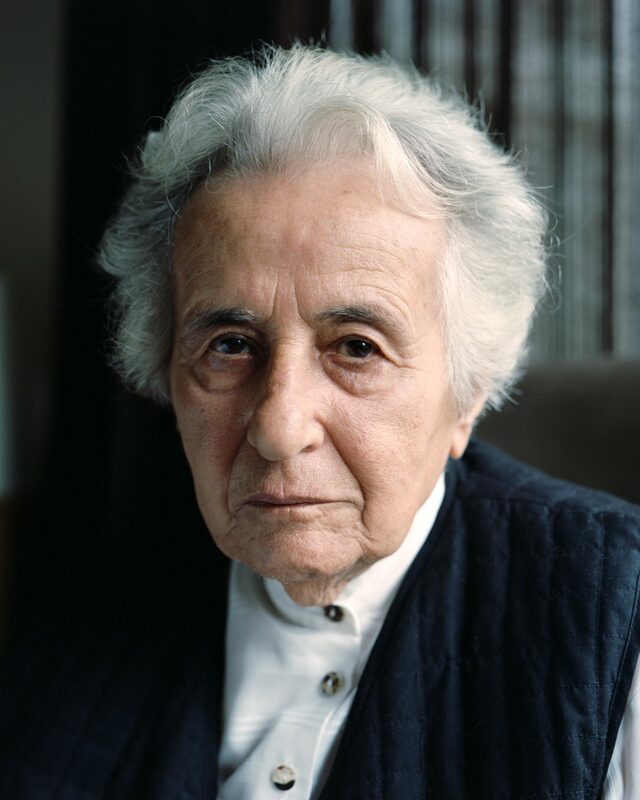 She died with her sister in Bergen-Belsen in 1945.